At FYZICAL Standley Lake you'll experience an individualized, supportive approach to physical therapy. One that uses hands on techniques and tailor made exercise programs delivered by expertly trained and licensed Physical Therapists who work one-on-one with you during your therapy sessions. We not only practice physical therapy but we live and breathe it and which results in high patient satisfaction. Mara has been a private practice owner since 2006, and transitioned her practice to Fyzical Therapy and Balance Centers in May of 2018. She feels strongly about the Fyzical Franchise and its mission to create strength and solidarity within the physical therapy profession in today’s volatile healthcare climate. She is committed to creating a niche in the local community, reducing the amount of disability related to falls and vestibular compromise . 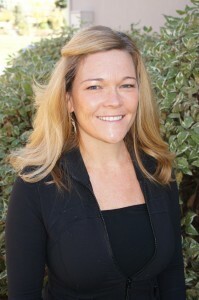 Mara graduated from The University of New Mexico with a Bachelor’s Degree in Physical Therapy in 1999. Prior to that, she studied Kinesiology at the University of Minnesota. 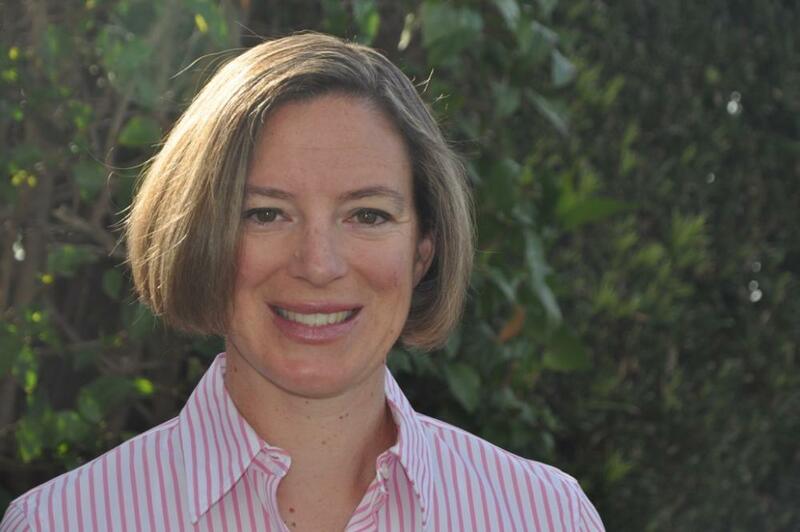 After relocating to Denver in 2003, Mara became a board certified Orthopedic Clinical Specialist through the American Physical Therapy Association and has been practicing in an outpatient setting since, opening her practice in 2006. Mara has extensive coursework in the administration of manual treatment to include myofascial release, joint mobilization and trigger point release. Her strengths include treatment of the pelvis and sacroiliac joint, shoulder and knee. She has recently undergone training in Levels 1 and 2 Balance through Fyzical and will work toward her level 3 certification. Mara is a certified Graston practitioner, the implementation of instrument-assisted soft tissue mobilization, to breakdown adhesions and improve mobility within the soft tissues She enjoys working with patients of all ages, with the goal of restoring or even surpassing their prior functional level. Mary O'Brien is the Office Manager at Fyzical Therapy and Balance Centers, Standley Lake. She feels very fortunate to work alongside such smart, compassionate and caring professionals who go above and beyond daily. Mary earned a Bachelor’s Degree at CSU in Pueblo, and demonstrates excellent customer service and communication skills. Her ability to brighten a patient’s day with her big smile, as they walk through the door, is unmatched. Mary strives every day to assist our patients in the best way possible, in order to create a positive experience during their recovery. Mary grew up living in various national parks exhibiting an immense love for the outdoors and staying fit, still participating in basketball and soccer leagues. She lives with her husband, three boys and Chocolate lab Jersey. Outside of work, she loves watching her boys play baseball and soccer, vacationing on the beach, and enjoying time with family. Nancy was drawn to the physical therapy profession since the onset of high school while working alongside the athletic trainer. Her passion for sports, and experience with athletes of all levels, lead her to pursue her undergraduate degree in Kinesiology from University of Colorado, Boulder. She continued on to Regis University where she finished her Masters of Science in Physical Therapy in 2001. She has worked in various outpatient orthopedic settings since, including being the contract physical therapist for the Colorado Ballet, The Rocky Mountain Rage, and the Colorado 14ers. Nancy has a strong background in manual treatment to include myofascial release, joint mobilization, and is Level 2 Certified in Functional Dry Needling, a powerful tool to influence the neuromuscular system. She is a Level 2 Vestibular and Balance therapist, and is growing her skills among the spectrum of balance and vestibular disorders. Nancy integrates a strong manual background into the balance paradigm to meet the needs of an expanded patient population. She is passionate about helping patients to pursue their individual goals, and to maintain an active lifestyle in beautiful Colorado. Although you will no longer find Nancy playing tackle football or rowing for CU outside in her spare time, you may find her playing soccer, coaching her kids, snowshoe racing or snowboarding. With a background in competitive gymnastics and collegiate volleyball, Amber has a passion for fitness, wellness, and sport. This passion led her to consider physical therapy as a career. Her career path was solidified after observing her grandpa battle the physical and emotional challenges of Parkinson's Disease. She knew she could make a difference with these patients. She graduated from Dordt College, with a Bachelor of Science in Exercise Science and then went on to earn her Doctorate in Physical Therapy from Regis University in Denver. Amber is a Certified Level 3 Vestibular and Balance therapist and possesses exceptional skills with regard to the clinical diagnosis, as well as the treatment of dizziness, vertigo, and balance dysfunction. Amber is experiencing even more positive outcomes since being trained in, and implementing the Fyzical Balance Treatment Paradigm when treating her patients. She is excited to make a difference in the community with the treatment of athletes with post-concussive syndrome, whiplash patients injured in motor vehicle accident, or elderly patients w/concussive injuries following a fall. Outside of the clinic, Amber enjoys many outdoor activities, being with friends and family, volunteering and exercising. 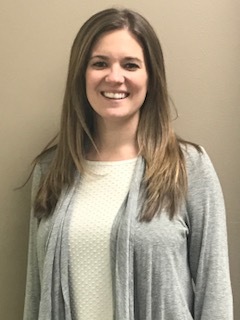 Allie received her Physical Therapist Assistant Degree through Arapahoe Community College, during which she gained experience in a variety of treatment settings. Through her clinical experience in outpatient orthopedic settings and skilled nursing facilities, Allie's passion for working with athlete's, dancers, and the elderly was solidified by securing a staff position at Fyzical Standley Lake. Prior to attending the PTA program at Arapahoe Community College, Allie graduated from the University of Colorado, CU Boulder in 2014 with a Bachelor of Arts in Integrative Physiology. She has a love for individualized patient care, and aiding people in reaching their maximum therapeutic potential. Her therapeutic interests include orthopedics, treatment for patients with chronic pain, neurodynamic mobilization, and pediatric care. More recently, Allie became a Certified Level 2 Vestibular and Balance clinician through Fyzical Therapy and Balance Centers. Outside of the clinic, she enjoys spending time with her family, teaching ballet, gardening, and cooking. Austin has worked with FYZICAL Therapy & Balance Centers as a PT Aide since September of 2017. He attended college in Grand Junction, at Colorado Mesa University, where he also worked as a Lab Tech in the Monfort Human Performance Lab. Austin graduated in the Spring of 2017 with a Bachelor of Science in Exercise Science. His passion for learning and desire to promote physical activity inspire his plans to continue with school to become a Physical Therapist. He believes that it is incredibly important for people to remain physically active in order to maintain good health and wellness. He is also passionate about injury recovery and helping people achieve their goals. Austin grew up in Littleton, Colorado and can often be found in the mountains fishing, hiking, snowboarding, or pretty much any other outdoor activity. Naomi currently works as a Client Care Specialist for Fyzical Standley Lake, but desires to become a clinician herself. With over 16 years experience in the customer service industry, Naomi offers exceptional customer service skills to our patients. She will graduate in May 2019, with a Bachelor’s Degree in Psychology, from Arizona State University. Naomi ultimately aspires to earn her Master’s in Occupational Therapy, as she is passionate about making a difference in the lives of others. Naomi brings this passion to Fyzical through her interactions with patients, and strives to make the experience of coming to therapy as welcoming and comfortable as possible. When she’s not working or studying, Naomi enjoys hiking and exploring with her dog Sugar, spending time with her family, and attending concerts with her mother, at all the wonderful venues in Colorado.